You only need to have taken a passing interest in some of the iPhone 7 rumors to know that talk of a wireless charging solution has sprung up again. Some people believe the next flagship iPhone will feature the Qi-wireless charging technology that Android device owners now take for granted, while others think the iPhone after the next one may be the one that makes the jump by featuring a new kind of wireless charging tech that can enable charging from a distance. 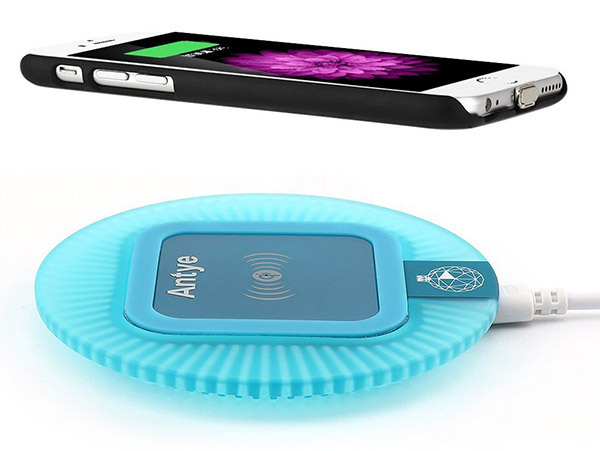 While we don’t know for sure which of those two camps have it right, but what we do know is you don’t need to wait to charge your iPhone wirelessly. We’ve already shown you how to get the kit needed to add wireless charging to iPhone 6s or iPhone 6s Plus today should you wish, but there are yet other alternatives to be considered as well. 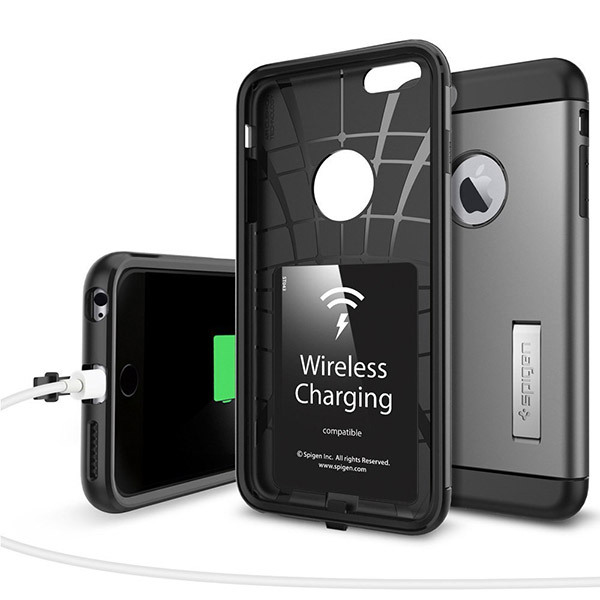 If you’re a fan of iPhone cases for example, you’re going to want to check out a plethora of cases that actually feature Qi wireless charging technology built right in. 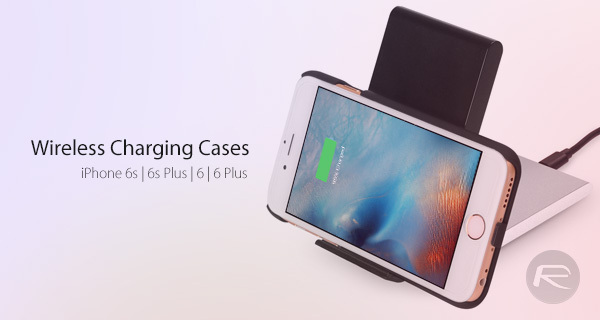 Amongst the best recommended cases we are going to tell you about, all of them feature Qi-compatible wireless charging capabilities, although some of them come complete with charging pads while others do not. Keep that in mind when you are making your buying decision, because it may be an additional cost that you were not planning on. In case you choose to get the case without charging pad combo, you can pick a charging pad separately for under $15 bucks, such as this Upow Qi Wireless Charging Pad from Amazon which costs just $14. With that out of the way, let’s take a look shall we? While it is made by a company that you may have not heard of, this case has got good reviews and actually looks quite nice. It’s not overly bulky, which is something we like in a case, and connects its charging electronics to the iPhone’s Lightning port via a ribbon cable of sorts. It’s not going to break the bank, either. 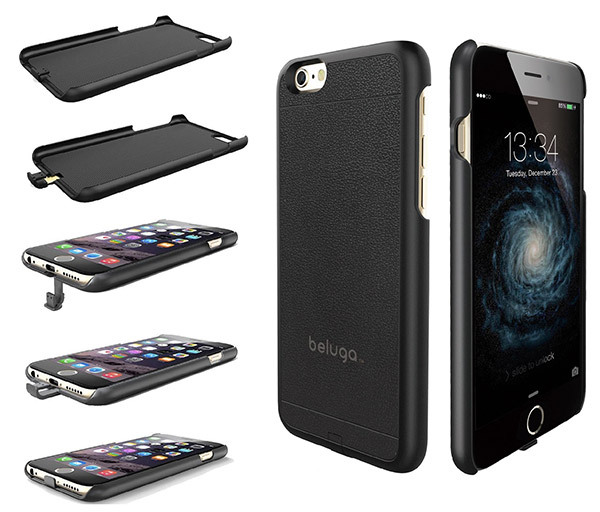 BELUGA’s wireless charging case for the iPhone 6s/6 and iPhone 6s Plus/6 Plus certainly looks the business. Slim and with a non-slip back, we are quite taken with the BELUGA. If brand name is something that you look for in an iPhone accessory, then Spigen is about as big as it gets. With versions on offer for both iPhone sizes, the regular and the Plus, it’s just a shame that these cases are so thick. They offer more protection than some other cases here, but may not be for everyone. Your mileage may vary, though. Now, this is where things get interesting, because not only is the Antye one of the best looking cases here, but it also comes complete with its own Qi-compatible charging pad. You may expect that to bump the price up, because we certainly did, but no – $30 is all you need. The reviews on Amazon look quite positive, too. The most expensive in our list, this pack also offers a charging pad as well as an iPhone 6s/6 case but with a much steeper price. It’s arguably a nicer kit than the Antye as well, so depending on whether you’re willing to drop the extra cash, this may be a better bet, especially if you have concerns about the Antye offering being perhaps a little too cheap. 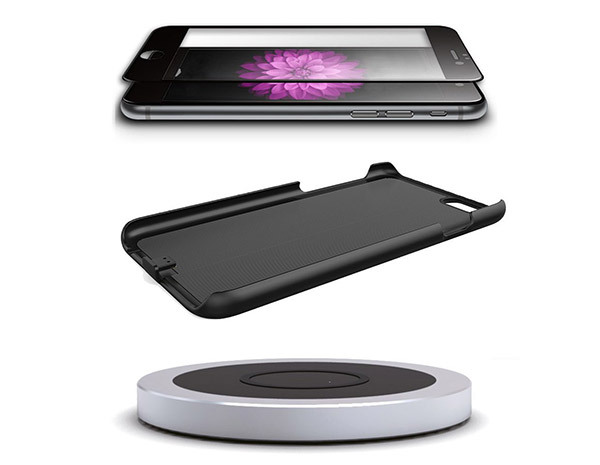 That completes our top recommendation for wireless charging cases for iPhone. 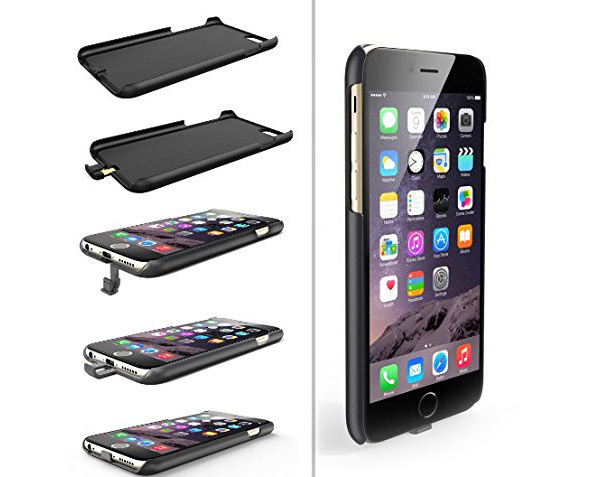 Get whichever fits your budget and offers whatever you need from a case whether that be protection or good looks. You can’t really have both, unfortunately. Yeah but you’re stuck with a piece of shot phone and you have to deal with android. Honestly I’m no fanboy. I enjoy the best of both worlds. I’ve had a 6s Plus and now moved to the Nexus 6 with a custom ROM. You can’t beat the customization you have on android. Most people do not care about customization. They just want a phone that works. Actually mate, I do know about cydia and jailbreaking. My iPhone was jailbroken before I switched. I’ve been jailbreaking since iOS 3 so yes I do know what it is. And my point is you need jailbreaking to customize when on an android I can just do it if I want without any sort of hacking. Nonetheless I love both systems and phones. You really dont know about android either.. cause you really need to ROOT aka Jailbreak most of them to get a fuly custom Droid..most of them can be customized OTB…but turn it around what you do , you need to ROOT it.. and btw…there are TONS of tweaks and I can say with my hand in fire that most of the tweaks on Cydia are way more potentensial than on DROID. who cares about wireless charging….I have the oukitel k10000 and battery lasts 3 days with heavy use then quick charge 2.0 charges within 3 hours……battery lives should be extended not pointless wireless charging cases that take even longer to charge your phone !! Apple Watch already has it, Apple might include it on their next iPhone !